After my last DIY upcycle project, I have just been itching to do another one! So what better place to look for a beat up piece of furniture than your backyard? ( or in my case my back balcony). I feel like no matter how hard you try to care for outdoor furniture, unless it is completely shielded from the elements, it’s going to be really battered in just a few years. 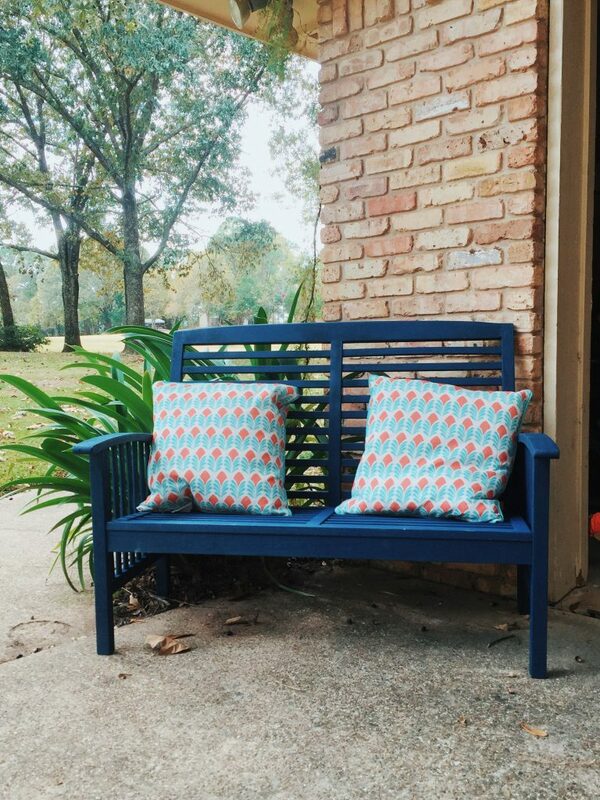 When I first moved to Dallas, I found this awesome outdoor bench on Overstock.com at an unbeatable price. Unfortunately, that awesome bench ended up getting pummeled to death by storms and sun and all those good things in the four years that I’ve had it. 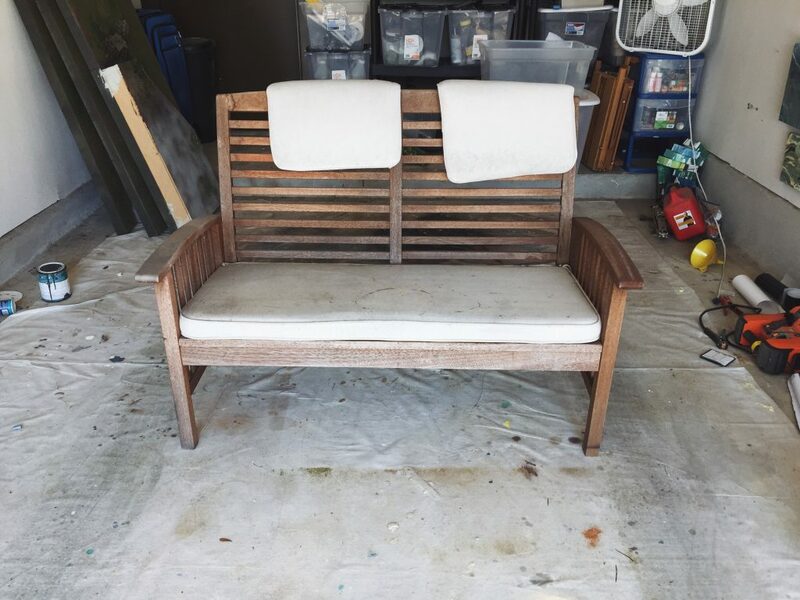 I had been planning to just toss the bench and get something else, but since I’m totally on a revamp kick, I figured why not give it a second chance at life? 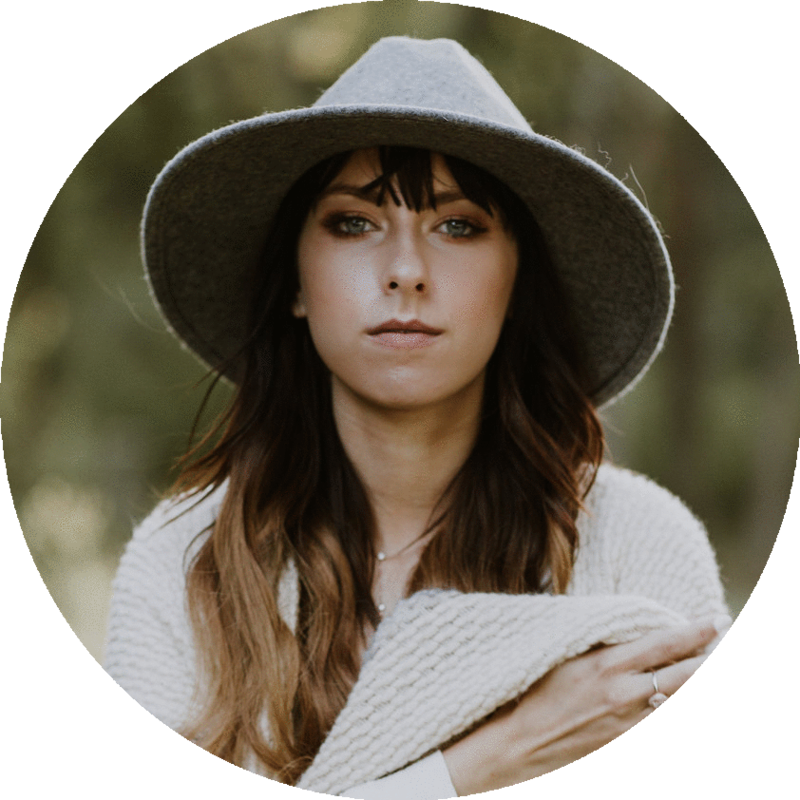 This was possibly one of the easiest upcycle/DIY’s I’ve ever done. 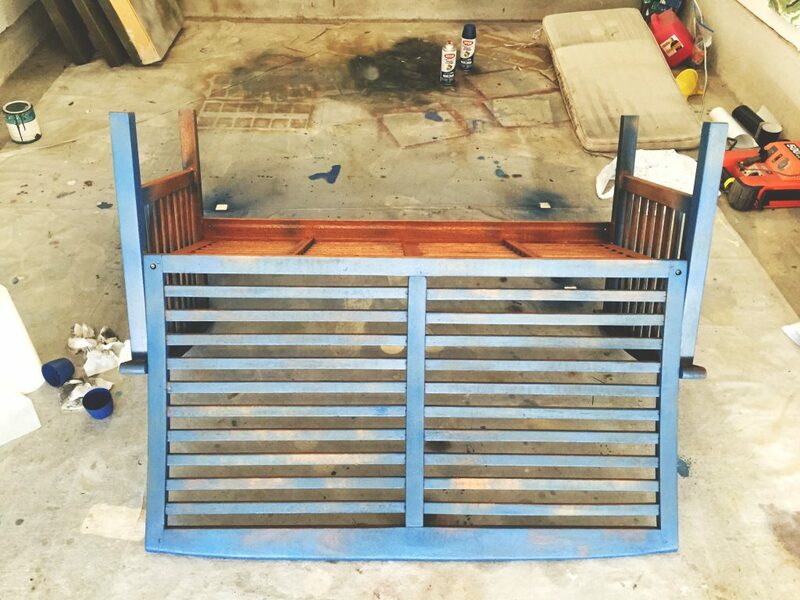 Since the bench had been thoroughly roughened up by the beating Texas sun, there was no need for me to even sand it. The weather had already primed the piece for me, so all I really had to do was decide on a color. The majority of my indoor decor, aside from a few pop pieces, is majorly grey, white and black, so I felt like doing something a little bit more fun and funky for my outdoor accessories. I ended up choosing a really vibrant navy-ish color. I’m not 100% why I chose navy. It just happened to pop into my head one day and in my mind it looked cute. So I headed out to my local Michaels Store, coupon in hand, and picked up three bottles of Crylon Color Max spray paint in satin Oxford Blue. 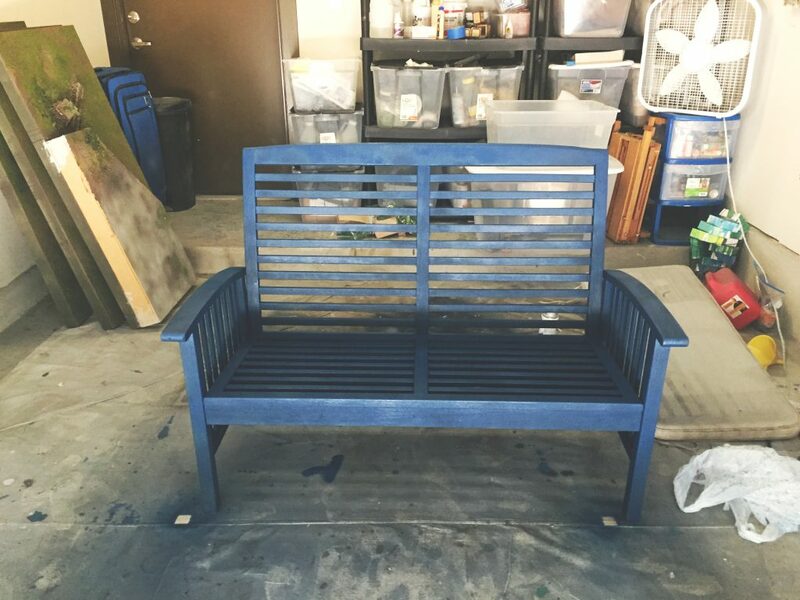 This spray paint was way more pigmented than I was used to — which is a good thing!– and covered the entire bench with only two and a half bottles. That said, definitely wear gloves and a mask when spraying with this because it is really potent. 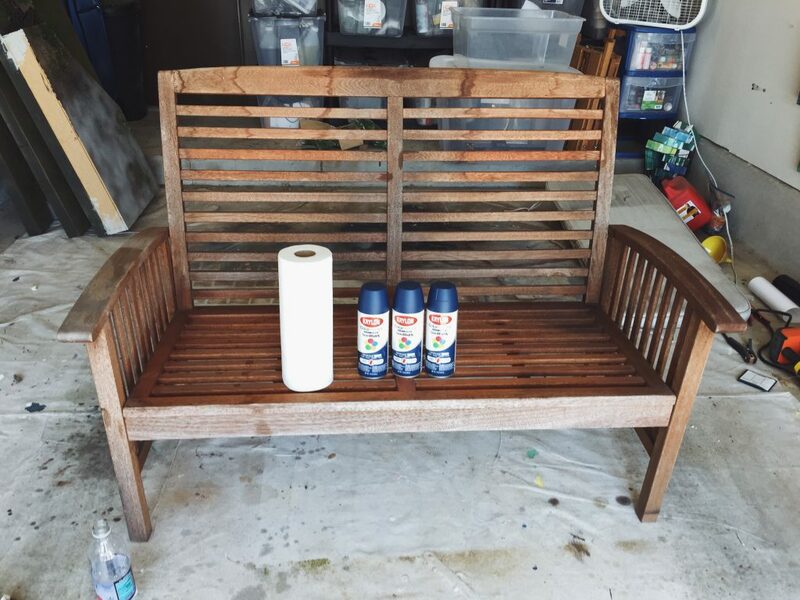 Before I began spraying, I made sure to remove the old cushions and wipe down the bench several times ( mine was SUPER dirty) to remove any dirt or bugs etc that would cause me to have an uneven coat. To begin I really focused on getting a nice even coat on the front section and seats since those would be the focal points. 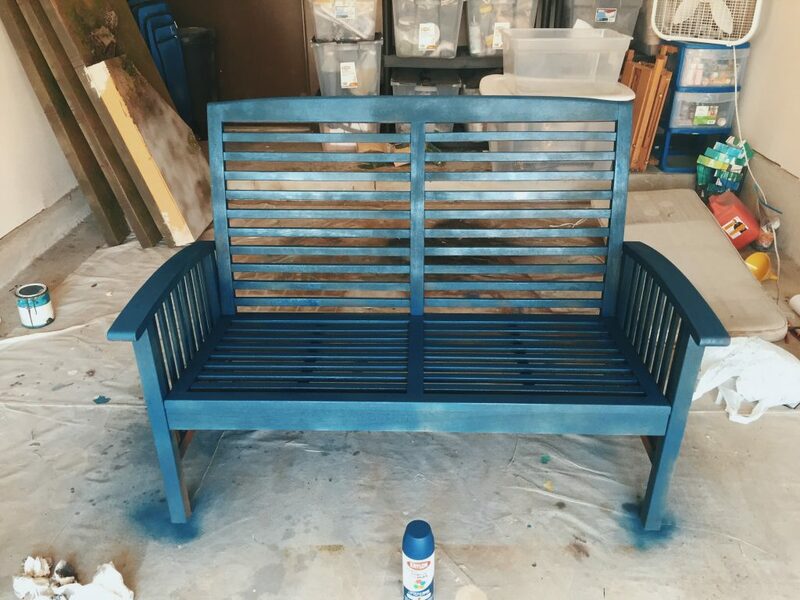 I ended up doing about 4 even coats on the bench. If you compare the starting spray color to the finished color, you’ll see that the more coats I added the navyer it got — which was my goal. 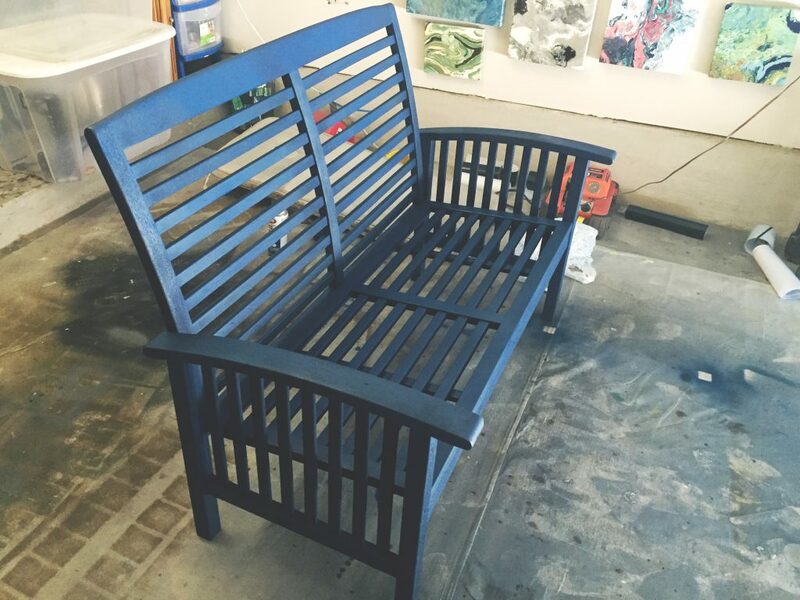 I was a bit worried when I first started spraying and it looked more electric blue than “navy”. Once all the painting and drying was complete, I was left with the most fun step! Picking out new cushions! One of my favorite places ever to shop for home decor (indoor and out) at amazing prices is Marshalls! It’s basically like TJmaxx and similar other upscale discount stores, but I seriously love all the decor options at Marshalls. I always find something cute, and I definitely wasn’t disappointed this time around. How fun and happy did this piece turn out? It was fun adding some life to my back patio. 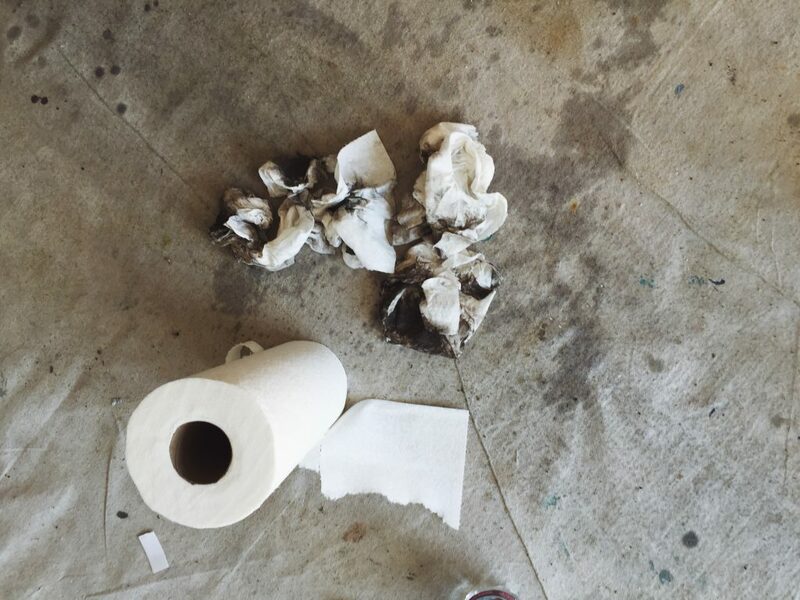 I hope this post inspires you to bring some new life to an old piece!